In 1985 we were the first tourists to travel from Amdo (Xining) to Lhasa. At that time no information was available on this traditional route which connects Lhasa with Mongolia, the Silk Road and with China. The adventure to the unknown area became a sucsee and today our experience is your benefit.20 days across Tibet, Over rugged mountain terrain, past snow clad mountains and nomad settlements, hilly deserts landscape, dry pasture land and swamps. The journey does not includeany hiking but requires good health condition. The absence of comfortable hotels is compensated by the experience of traveling through this remote characteristic area of northern Tibet, the source of yangtsekiang and Mekong. Outstanding cultural sight of interested such as yarlung valley, Samye Monastery, Sakya Monastery, Kumbum Monastery in Amdo and Labrang Monastery make this tour an ideal continuation for the seasoned traveler to Tibet. 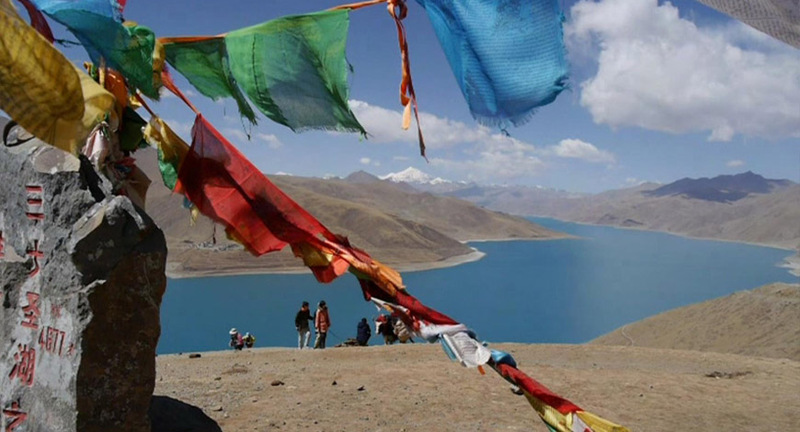 For many a Tibet lover this journey across Tibet was a dream which can now be realized. Day 1-3 Arrival in Kathmandu, sightseeing in Kathmandu valley and trip preparation . We follow the southern boundary of the Tsaidam-Swamp till Dulan, which lies on the weastern flank of the Amnye-Machen mountain range. Overnight in miltery guest house… camp. The landscape changes from the rocky mountains to the hilly grassland. 6 hrs drive brings us to the southern bank of the famous kokonor Lake. Overnight in a very simple guest house. Going is rather hard due to bad road conditions and takes nearly 10 hrs to reach Xinig. Xining is the capital of the Qinghai province and eanding point of our overland expedition across Tibet. Overnight in hotel. 16 miles southwest of Xining lies the important monastery of Kumbum, built in 16th century under supervision of the 3rd Dalai Lama. This monastery plays a very important role in Tibetan Buddhism due to the fact that this was the birth place of Tsongkhapa, the initator of the Gelupa sect of buddhism. The present panchen Lama was brought up here till he shifted seat to shigatse in 1952. 5 hrs train ride to Lanzhou, capital of the Gansu province. Depending on the train timetable, We shall visit the archaeological museum of Lanzhou. Overnight in hotel. An 8 hrs bus ride will bring us to one of the largest monasteries of eastern Tibet-Labrang. In the olden times 3500 monks were housed here. After a detailed visit of the monastery return drive to Lanzhou. Fly from Lanzhou to Beijing. Transfer to a good hotel.